If you’re in the market for a new vehicle, look no further than our new vehicle inventory here at Land Rover San Antonio! We have a wide variety of new Land Rover models in stock, from the versatile Land Rover Discovery Sport to the elegant Range Rover Evoque. Be sure to check out our selection of new vehicle offers and incentives so you can save some money when you get behind the wheel of a new Land Rover. The 2018 Land Rover Discovery Sport is power you can feel. The bold exterior is further enhanced by features as 20-inch wheels and chrome exhaust finishes. The powered gesture tailgate allows you to open and close the tailgate simply by kicking, while heated seats for front and second-row passengers keep you comfortable on the go. Terrain response takes capability to new heights, helping to offer a more sure-footed drive on most surfaces, plus hill descent control applies braking separately to each wheel while navigating difficult slopes. Under the hood, you'll find a 9-speed transmission designed for traverse applications and a 2.0-liter, 4-cylinder turbocharged engines have either 237 or 286 hp. The Discovery Sport is packed with cutting-edge technology, including a premium sound system, 10-inch infotainment touchscreen and shift-by-wire gear control. It also offers a suite of safety features, including blind spot monitoring and adaptive cruise control. The 2018 Land Rover Range Rover Evoque is a true Range Rover in compact form. The Range Rover Evoque's unique silhouette will make you stand out in the city, with its 5-door design. The cargo area is a generous 20.3 cubic feet with the seats up, providing ample luggage room. On the other hand, the convertible tailgate has been developed to allow easy access to the cargo area, at 8.9 cubic feet regardless of roof position. The lightweight, compact 9-speed automatic transmission provides optimum fuel economy, as well as greater control in low-grip conditions. Whether on- or off-road, torque vectoring is designed to constantly balance torque distribution between all wheels, while adaptive dynamics tunes the suspension to deliver a more dynamic driving experience and active driveline provides maximum 2-wheel drive fuel economy. Delivering a sportier, more economical performance, the new 2.0-liter turbocharged 4-cylinder engines provide either 237 hp or 286 hp. The Range Rover Evoque has a towing capacity of 3,969 pounds on both the five-door and convertible, supported by the surround camera system and tow assist. It also takes capability to a new level, with terrain-adapting technology, which adapts the engine and gearbox based on the driving conditions. The Range Rover Evoque is packed with cutting-edge technology, including a premium sound system, 10.2-inch infotainment system and start/stop technology. It also offers a suite of safety features, including adaptive dynamics, hill descent control, traffic sign recognition and blind spot monitoring. New vehicle pricing includes all offers and incentives. Tax, Title and Tags not included in vehicle prices shown and must be paid by the purchaser. While great effort is made to ensure the accuracy of the information on this site, errors do occur so please verify information with a customer service rep. This is easily done by calling us at (210) 561-4900 or by visiting us at the dealership. 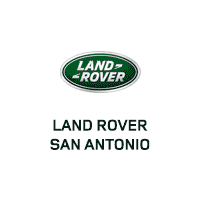 Why Choose a New Vehicle from Land Rover San Antonio? Once you’ve found a Land Rover model that fits your needs, stop by Land Rover San Antonio to take it for a test drive! We look forward to seeing you drive home to Austin in a car you love. You can even turn to Land Rover San Antonio for local recommendations like the best bbq in San Antonio!